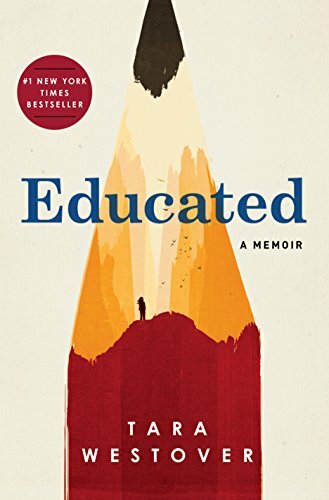 Raving reviews of Educated rolled through my social media accounts and friends, relating the amazing true story of a brilliant young woman who entered a classroom for the first time in her late teens, never having had a true prior education due to the beliefs of her parents. Tara Westover is younger than I am, and with such a sensational story, I immediately wanted to read it and ordered it via Amazon (affiliate link below). The entire experience of this book is a true work of art, from the simple but powerful imagery on the cover through the phenomenal writing that is far more aligned with reading a great novel than the average nonfiction book. I devoured it over a weekend, completely engrossed in the story. However, as the book came to an end, I was completely struck by the deeper message. Education, by itself, changes you irrevocably. When you leave home - for college, to travel, to experience life in a way that is different from your own, home will never be the exact same again. The people, the structures, the familiarity will remain, yet, there is a shift. You no longer see anything in the exact same way. You simply cannot go back. Sometimes, that shift is a beautiful one, other times, such as with the author, it is bittersweet or downright painful. I will never regret a moment of my education, of the experiences I have sought or of those I strive to bring to my children. However, there is a price to pay in chasing such dreams. Inevitably, time changes everything. So does education. I cannot wait to hear what you think of Educated.